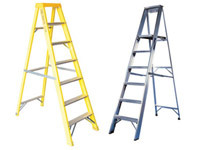 What is the purpose of the Lyte Platform Step Ladders? 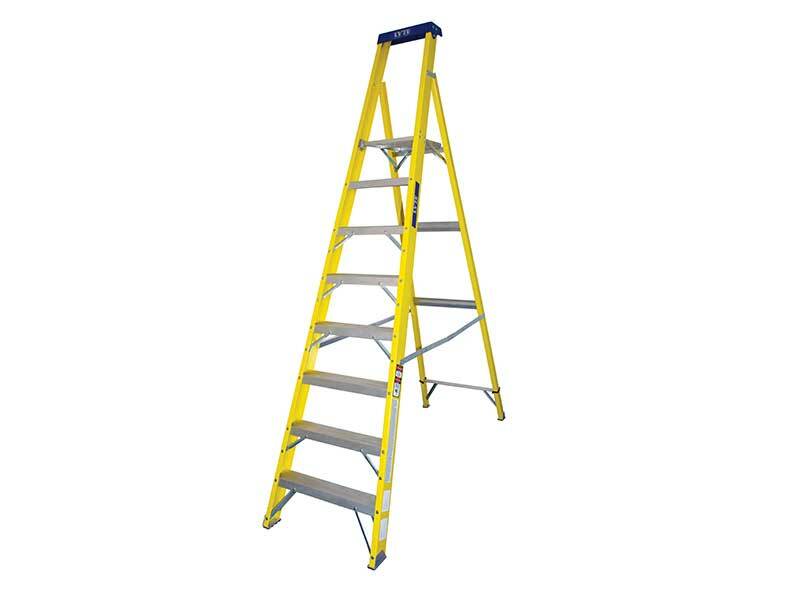 Platform step ladders are constructed to bring a level of stability and convenience to any location. Users can rely on these products to easily reach items that might otherwise be inaccessible. Their open top form gives employees, as well as homeowners, a better way to stand up without feeling as if their balance has been compromised. 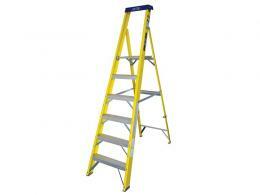 Any business, home, or office can use platform step ladders. Their versatile design means these tools will work in just about any situation. Bring the apparatuses to large projects such as warehouse reorganisation, or use it for simple tasks like repainting a wall. Outdoor situations are not a problem for these sturdy products. Light enough to be easily portable, and quick to adjust, these hardy ladders can be placed against exterior siding, or fully pulled out to offer a platform for work such as roof repair. Employees in warehouse settings can take advantage of the forward thinking construction of this item, but its utility doesn’t stop there. From librarians to carpenters, almost anyone can benefit from the stable design of this product. Regardless of your job or hobby, you’ll benefit from the security of reaching those formerly inaccessible areas without threat of injury. Workers worried about damage to their feet or ankles will appreciate the dedication to wider treads. Busy office workers can use these products to access boxes of old files, or promotional items stored years ago in a remote corner of the attic. Homeowners will find a use for this product in every room of the house, but especially when it comes to the hard work of maintaining basements, sheds, and garages. A non-conductive form on every model stands up to a total of 30,000 volts. This all important safety feature can really come in handy when dealing with possibly dangerous situations. 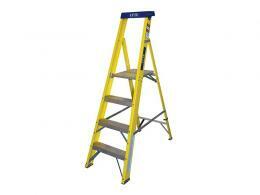 Platform step ladders also feature treads and feet with strong gripping surfaces. These double riveted treads establish more stability to prevent injuries that might otherwise occur in busy locations. Seven sizes are available to address any needs from subtle repairs to massive stocking projects. Heights range from 1.3 meters when closed to 2.93 m when open. Its lighter overall weight is easy to carry but never interferes with safety. An integral tool tray brings even more convenience as it tightly holds and protects any set of tools. Its form is specially crafted for greater reach even while standing at the top.